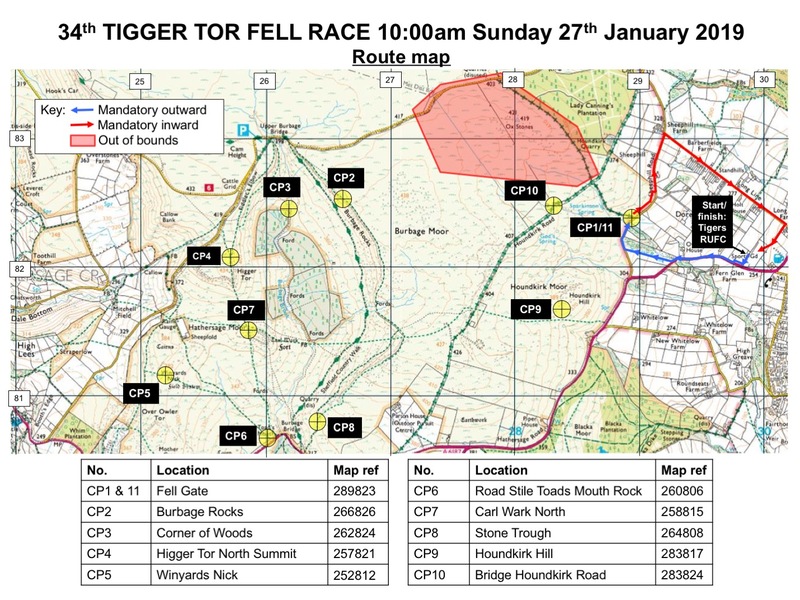 It was January 27th 2019 and the annual Tigger Tor race was in its 34th edition. The sky was clear and sunny and there was a northerly wind blowing in that ensured the temperature wouldn’t top 2 degrees but felt like minus 3. Will Tatlow had come up from London for the weekend for a planned ale trail on Saturday, the day before. 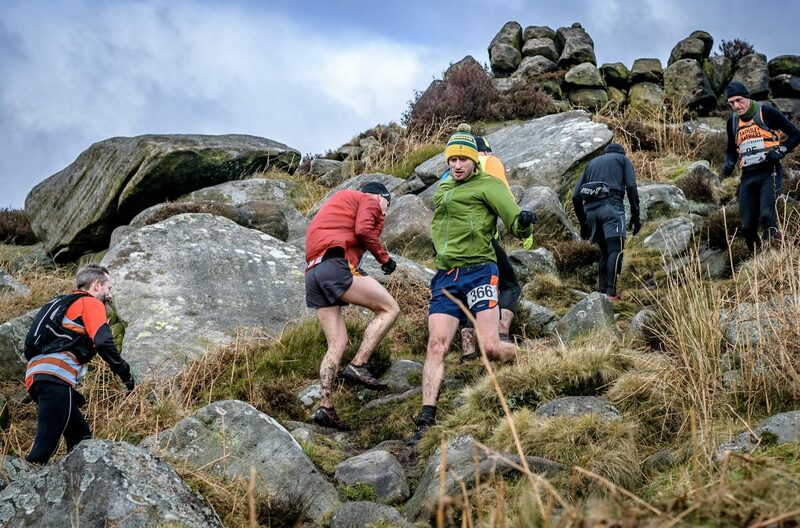 I’d convinced him to follow suit and book onto Tigger Tor on Sunday morning, to revisit our friendly competitiveness after our first race together at Longshaw Fell Race. 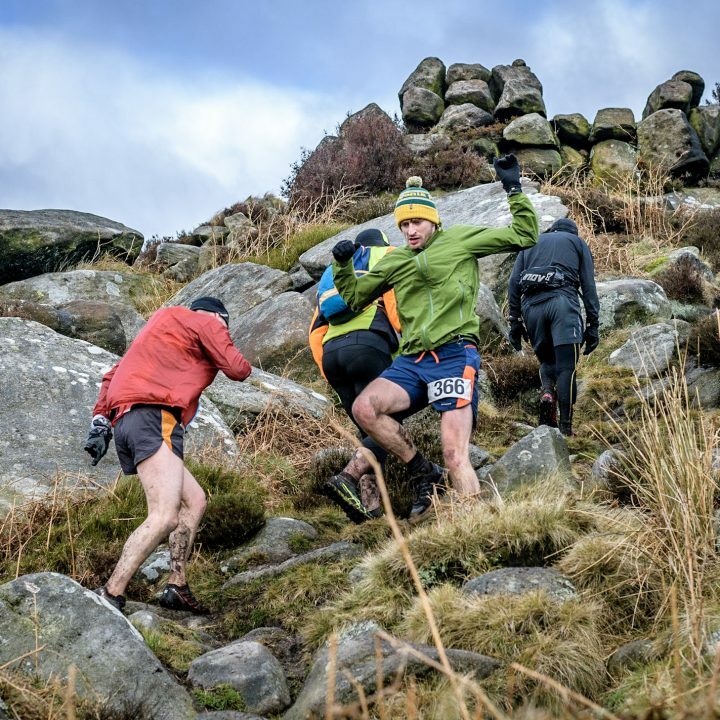 I’d not made any suggestions that I’d be looking to beat Will this time, he thrashed me at Longshaw Fell Race so why would I think I had a chance this time. I did however make a special journey the weekend before to recce the route and get an idea of where we were headed to give us a chance at being able to navigate the course ourselves should we lose the pack. 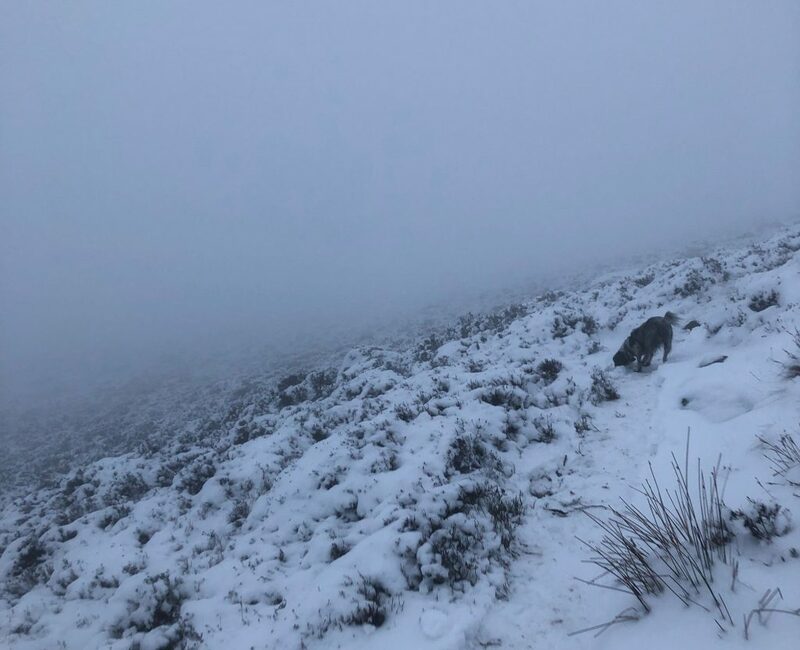 Unfortunately the weather was terrible, there had been snow on the tops and whilst running the route a heavy fog swept in. This combined with it beginning to turn dark meant I had to give up my recce and try to retrace my steps back to the car before I’d end up in a sticky situation on the top of Higger Tor, hopelessly lost. On the Saturday, we’d decided to do a bit of a warm up run at Sheffield Hallam ParkRun. The first one I’d ran since running a sub 20 minute 5k ParkRun. I’d been training quite a bit since running that time but after a series of consecutive weeks of running my legs felt on the brink of an injury so it wasn’t the time to be trying to set any records. I didn’t chase Will down, he is really quite fast over short distances and instead I sat back and took Aggie, my Springer Spaniel along for the run to make sure I ran it at a sensible pace. After the ParkRun, we headed out to meet some friends for the pre organised ale trail around some of the less-well-known pubs of Sheffield. Something me and Will would both come to regret on Sunday morning as we dragged ourselves out of bed to head to the race. We said we’d call it a night at 9 pm on Saturday night, miserably failing at this and eventually hitting the hay at 3 am, the morning of the race. 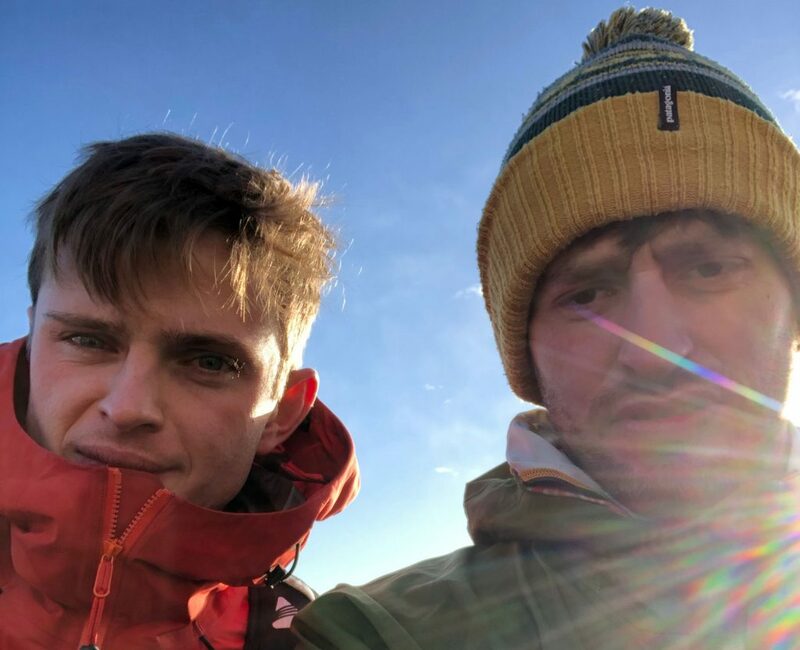 We’d somehow made it to the race, with the right gear and made it through kit checks to be stood on the start line with 15 minutes to spare, a massive accomplishment considering the previous days activities. The race began and we headed out of Sheffield towards Hathersage, dodging and weaving to move up through the crowd. We’d started pretty far back due to feeling like absolute rubbish but it wasn’t long before we were up on the tops and the howling wind was trying to blow us back down. I felt like I’d spent the first part of the race running with kite attached to my back because the hood of my jacket kept catching the wind. 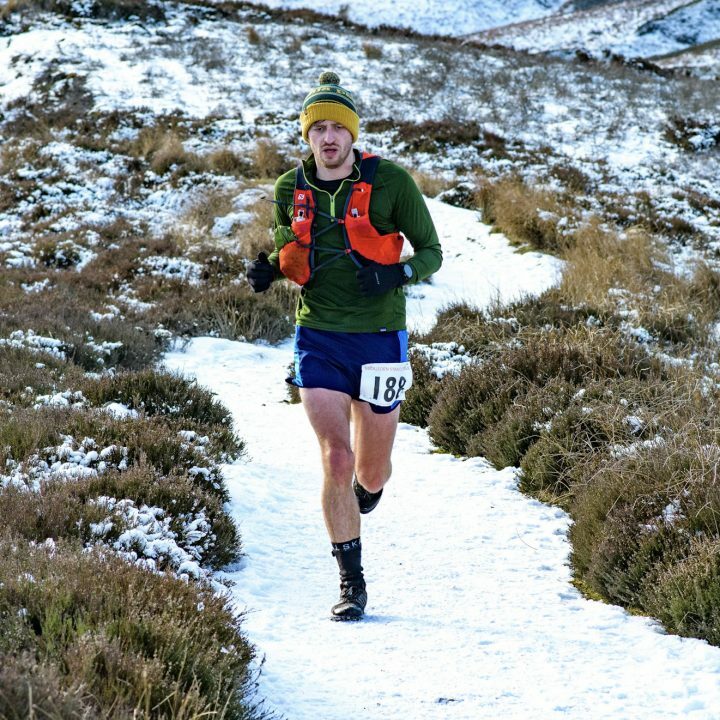 I was feeling strong though from the training I’d been doing and the uphills certainly weren’t as hard as the up hill climbs I’d ran at previous races. This was a real confidence boost as it’s nice to know that the hours put in training up and down hills hadn’t led to nothing. I’d lost Will after the first 4km, but luckily the navigation wasn’t an issue as you could clearly see and just follow the person in front so I wasn’t going to hang on for him. 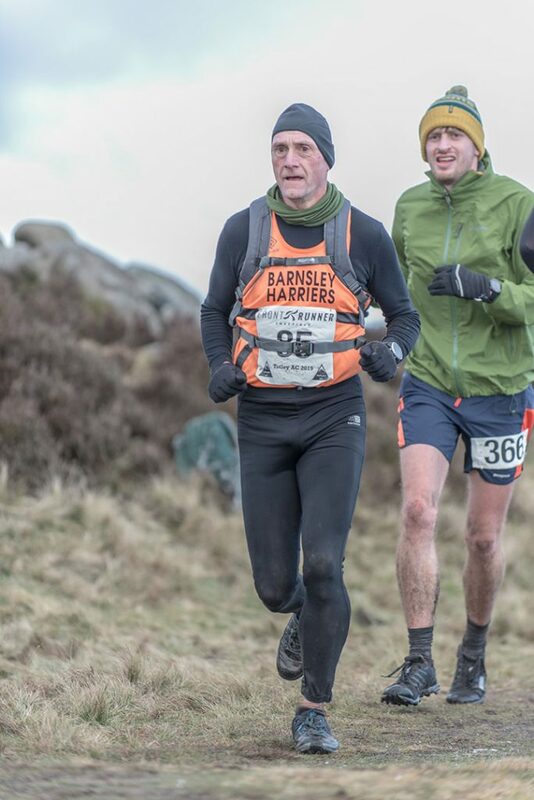 By the time I’d reached the top of Tigger Tor I could see another fellow Dark Peak Fell Runner just in front of me, Simon Allen, he had kindly donated his Lady Bower Marathon entry to me the previous summer. Simon was running well so I had a quick chat with him before pushing on through to keep working my way up the field. After a few more ups and downs both physically through the route and metaphorically from feeling the toils of the previous days activities, I was still feeling strong and managing to keep up a good pace. I think throughout the course I ended up retying my shoe laces 5 times, mainly from the heathers catching them and working them undone every couple of kilometres. As I hadn’t set my sights on any specific time I could enjoy myself and just focus on running at a comfortable but fast pace. The hardest part of the race was the final stretch back down the road at the back of the rugby club we’d started the race from. The road was long and seemed to go on and on and on with the runners in front of me managing to pull further ahead stretching the gap ahead. 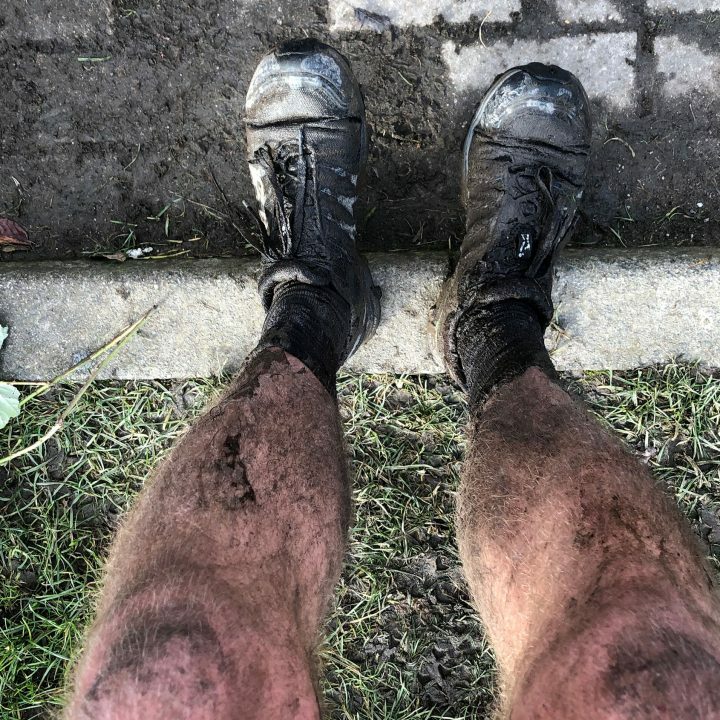 The final yomp up the side of the rugby pitch to the finish line felt like I could’ve walked it faster, my legs were tired and the wind was pushing you back down again. Within the last 50 metres to the finish line I glanced over my shoulder and there was a fellow runner behind me who’d managed to catch me up. I luckily caught sight of him and sprinted for the finish to make sure I didn’t lose a position that late in the race. 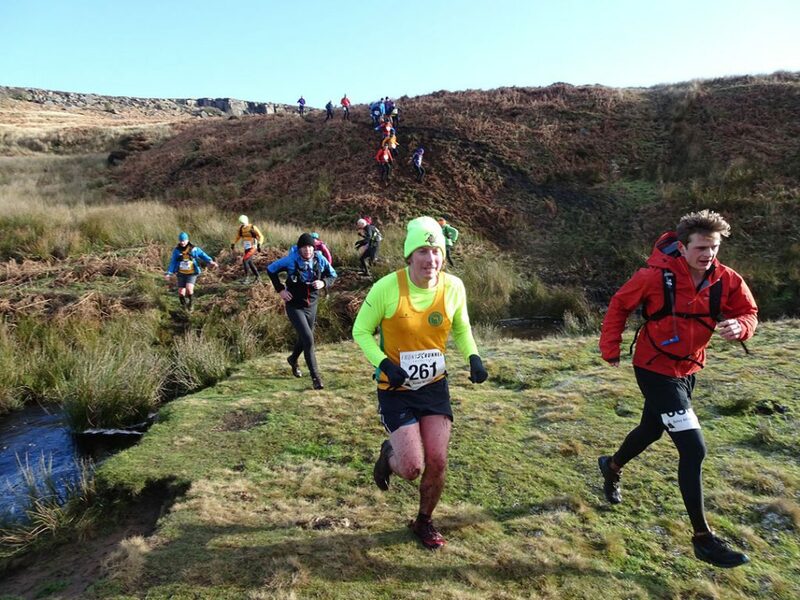 I managed to finish Tigger Tor Fell Race in 1:35:42 and placed 110th out of 310, an accomplishment I was actually pretty proud of considering the way I felt at the start of the race. The main thing I was pleased about was that I managed to run the race faster than Will, he ended up finished the race in 1:42:23 placing 207th. I’m not sure I’ll beat him ever that easily again so for now I’m going to basque in the glory and relish this unlikely win. I first laced up and started running in May 2017. Now I'm enjoying the therapeutic metronomy of running to relax whilst experiencing the great outdoors. 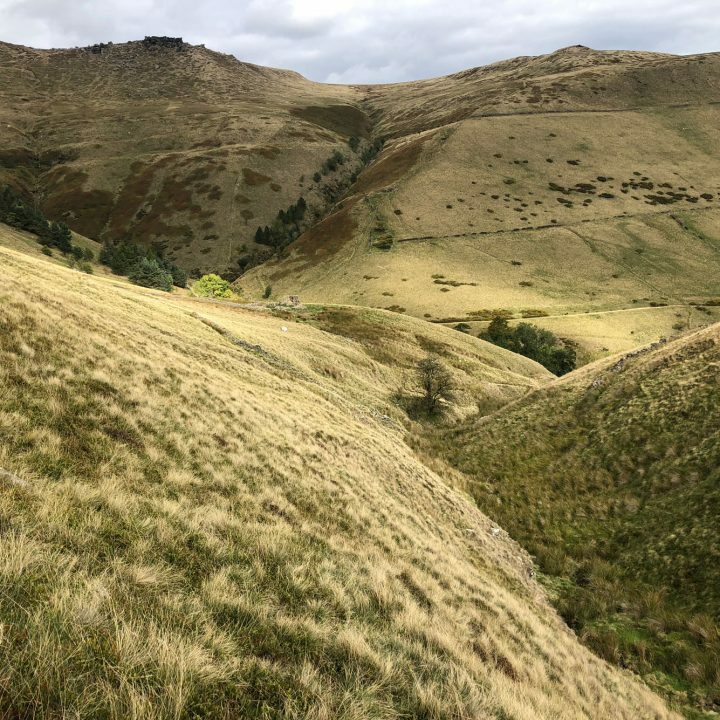 Based in Sheffield, most of my runs are centred around the Peak District, with the odd one being further afield when the opportunity strikes.